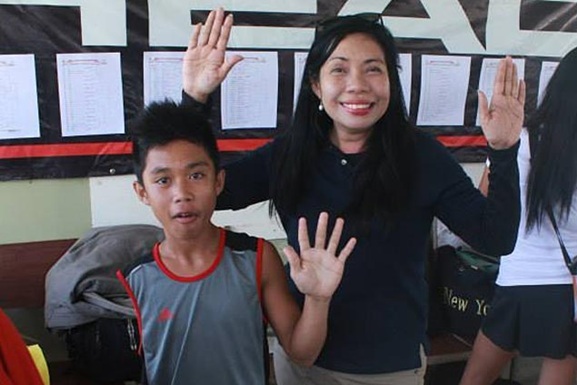 ZETHLEY Mae Perez bagged two titles, while one-armed netter John Paul Balikaol grabbed a share of the limelight in the seventh leg of 16th Head 2014 Junior satellite circuit national tennis annual age-group tournament Visayas region event recently at the Consolacion tennis courts in Cebu. The 14-year-old Perez clinched the 16-under title by beating Shyne Villareal, 6-1, 6-2, then downed Carlyn Bless Guarde in the finals of 14-under class, 6-4, 6-2. Balikaol, 14, reached the quarterfinals where he bowed to Rey Toledo, drawing cheers from spectators and even fellow competitors. “I’m not bothered of who am I. What important is I can play my favorite sport,” said Balikaol, who was born with only one arm. He hopes to work his way to the top in the country and someday see action in the Paralympic Games. Francis Lambayan won the boys’ 14-under singles division, crushing Joshua Regino, 7-6 (7), 3-6, 6-2, while Alyssa Bornia defeated Shyne Villareal, 6-3, 6-0, in the girls’ 18-under singles final. Christopher Encarnacion won the boys’ 16-under singles title, beating Mathew Crisosto, 6-4, 6-2, while Venz Alforque won over Curt Justin Salinas in the boys’ 12-under final, 4-6, 6-1, 6-3. Stephanie Crisosto beat Lyra Mae Repollo in the girls’ 12-under final, 7-6 (3), 6-4, while John David Velez beat Cesar Salimbangon, 6-3, 5-7, 6-0, for the 10-under unisex crown of the tournament supported by Smart Communications, Smart Sports, Chris Sports, Head Graphene, Toalson and official tennis ball Head.